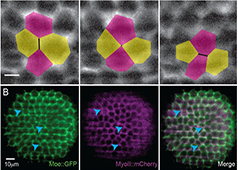 Cytoskeletal components can assemble into cage-like structures within the cell. These cages serve to segregate intracellular regions or organelles, and can protect their contents from mechanical stress. At the level of the whole cell, the cell cortex is a meshwork of actin filaments and myosin motor proteins that lies just underneath the plasma membrane. 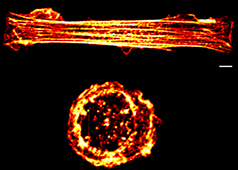 Extensive crosslinking of actin filaments can form a cage-like barrier between the ectoplasm (the outer, non-granulated layer of the cytoplasm) and the endoplasm (the inner, dense region of the cytoplasm that contains the organelles). 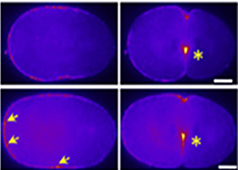 On a smaller scale, localized external forces at the cell periphery lead to formin-dependent assembly of a perinuclear actin ring or cage that surrounds and protects the nucleus . 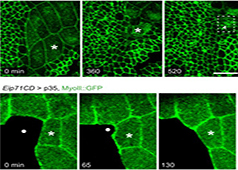 Myosin VI can initiate the formation of actin cages that encapsulate damaged mitochondria to ensure their isolation and eventual removal from the mitochondrial homeostasis network . 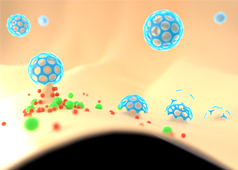 Vimentin intermediate filaments have been reported to form a cage around melanosome pigment granules which can impede their transport , and a similar cage is assembled to surround lipid droplets during adipose conversion , . Although it is not commonly thought of as a cytoskeletal cage, the lamin network that lies underneath the nuclear membrane provides three-dimensional structure and support to the nucleus, and directs chromosome organization. 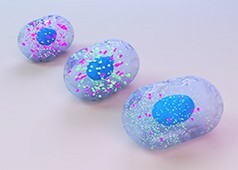 During mitosis, microtubules assemble to form a spindle apparatus that encages the duplicated chromosomes and subsequently pulls them apart to create two sets of chromosomes for each daughter cell. 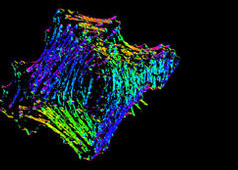 This mitotic spindle contains three types of microtubules; astral microtubules that connect the spindle to the cell cortex, kinetochore microtubules that attach individual chromosomes to the spindle, and interpolar microtubules that connect the two halves of the spindle. Septins predominantly assemble into ring-like structures that act as a scaffold for other cytoskeletal elements during cytokinesis. 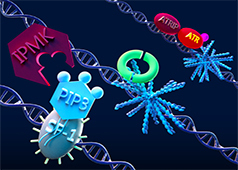 However, septin rings can further assemble into cage-like structures that are targeted to bacteria in order to label them for autophagy , . How is polarity established by cellular forces? How are apoptotic cells removed from the epithelial tissue in Drosophila pupae? What is the role of non-junctional E-cadherin clusters? 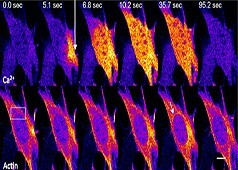 How do geometric constraints alter cell shape and rearrangement in curved epithelial tissues? 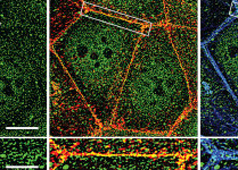 How does Clathrin-Mediated Endocytosis (CME) become synchronized?